The Rev. 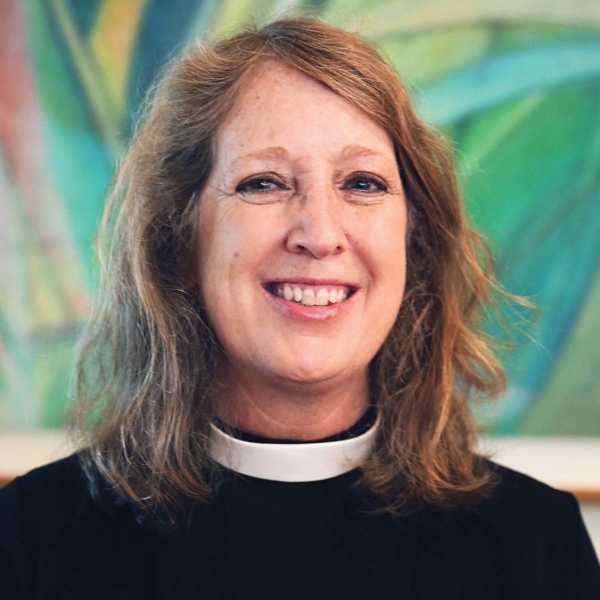 Cathleen Chittenden Bascom, from the Diocese of Iowa, was elected Oct.19 as the 10th bishop to lead the Episcopal Diocese of Kansas. [Diocese of Kansas] The Rev. Cathleen Chittenden Bascom, from the Diocese of Iowa, was elected Oct.19 as the 10th bishop to lead the Episcopal Diocese of Kansas. She was elected on the second ballot during an election that took place in the worship space of Grace Cathedral in Topeka, receiving 64 votes from lay delegates and 56 votes from clergy. Others on the ballot were the Rev. Martha N. Macgill of the Diocese of Maryland, and the Rev. Helen-Svoboda-Barber, from the Diocese of North Carolina. The Very Rev. Foster Mays, president of the governing body that has overseen the diocese in the interim period between bishops, said, “It delights me that Cathleen Bascom will be our next bishop. While this election was historic, at its core lay delegates and clergy were selecting the person who will lead this diocese for the next decade or more. I believe Mother Bascom’s many gifts and years of experience will serve this diocese well. The service of ordination and consecration by which Bascom becomes a bishop and assumes responsibility for the pastoral and administrative work of the diocese, will take place on Saturday, March 2, 2019, in Grace Cathedral, Topeka. The chief consecrator will be Presiding Bishop Michael Curry. The Episcopal Diocese of Kansas, based in Topeka, includes 44 churches across the eastern 40 percent of the state. It includes more than 10,000 baptized members with more than 70 active priests and deacons, of whom 43 percent are women. The post Cathleen Chittenden Bascom elected 10th bishop of the Diocese of Kansas appeared first on Episcopal News Service.